P.S. Do not forget to remove txd.img and txd.dir from the models folder, skins from the skins folder, player.bmp from the models / Generic folder. 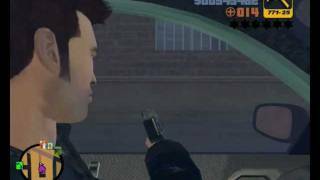 HD Claude for GTA III, this is not a skin, but a real HD Claude. Installation with the IMG Tool, then remove all skins from the skins folder and delete the player file from the generic folder (gta III / models / generic). Cool of course, but these cars do not pour into the atmosphere of the game. And so! 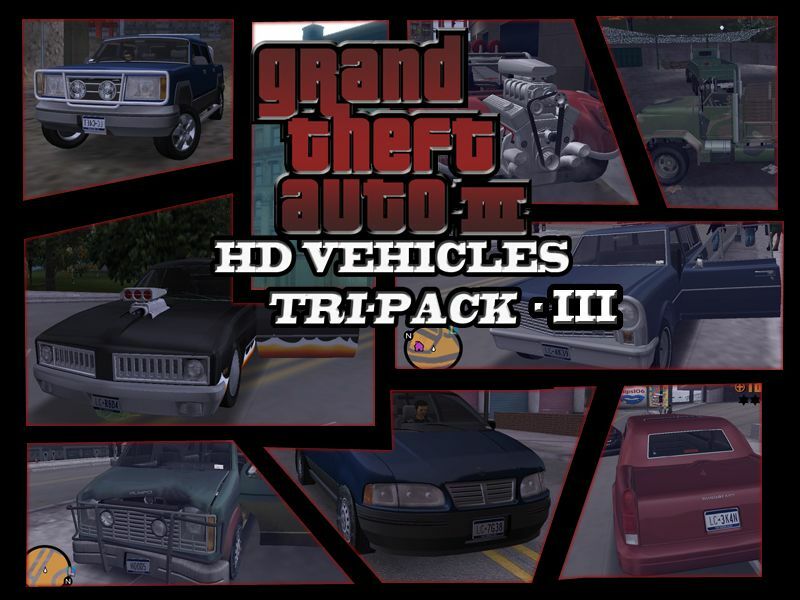 One of the best mods for GTA III !!! Respect, OnePiece. 4 years created this pack, and after all to the end finished, did not throw! The detailing is bigger, but it does not spoil the atmosphere at all, all cars to the place and from the general background do not stand out - that's a huge plus. Respect to the added, multirespekt authors !!! There's nothing to say! Plus definitely! Damn people help! I downloaded this mod, unpacked, dragged into the folder with the game downloaded files, like all the rules, the car was replaced with HD as it is written, but not completely, instead of the windows, headlights and saloon in the car, I just have a white background , but on the screen this should not be. PS I did not remove txd.img and txd.dir from the models folder, because there are not these files in the models / Generic folder. Files txd.img and txd.dir are generated the first time the game is run, so they may not be, if the game is just installed and did not run either Install the game again, run it once (there apparently still some tricks happen at the first start) and then install the mod. Something like that I remember, I had. I downloaded this mod, unpacked it, dragged downloaded files into the folder with the game, like all the rules, the car was replaced with HD as it is written, but not completely, instead of the glasses, headlights and saloon in the car, I just have white background , but on the screen this should not be. but I have all the cars and the skin have become as if from paper (ugly) tell me what to do? look ... I do not understand what exactly is wrong with you! If everything is correctly put, then there should be no problems !!! P.S. read?!!! The link to the deposit does not work! writes that the file was deleted! REFINE! but I have all the auto and skin have become as if from paper (ugly) tell me what to do? I thought the shelter was for the schoolboys! A fashion is great, you can not forget the old games!